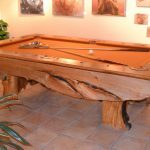 At Roaring Fork Custom Billiards we are not just about pool tables. 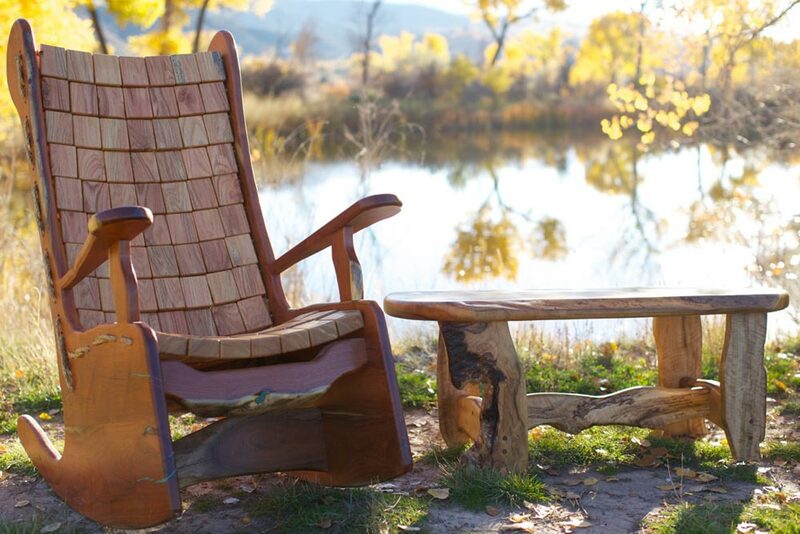 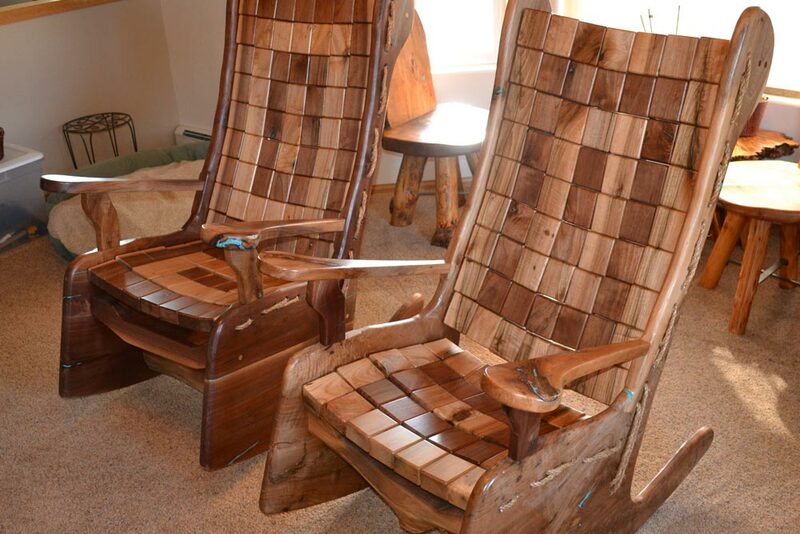 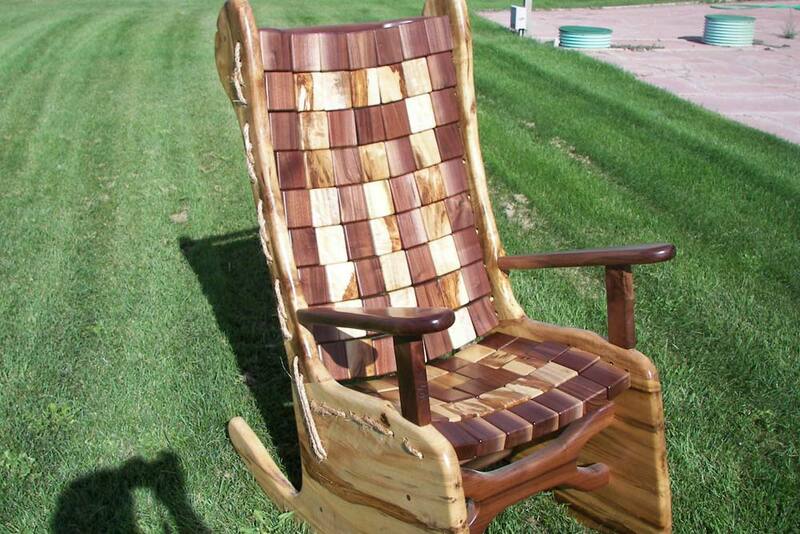 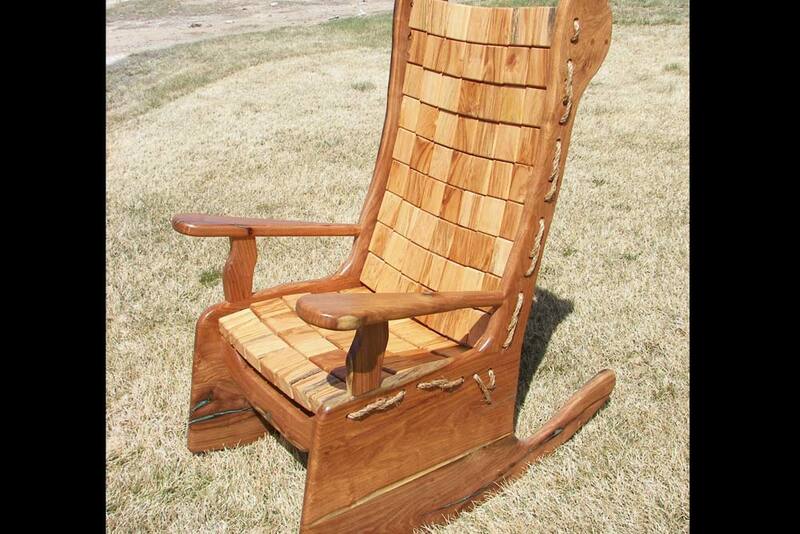 We build all types of home furnishings such as a custom rocking chair. 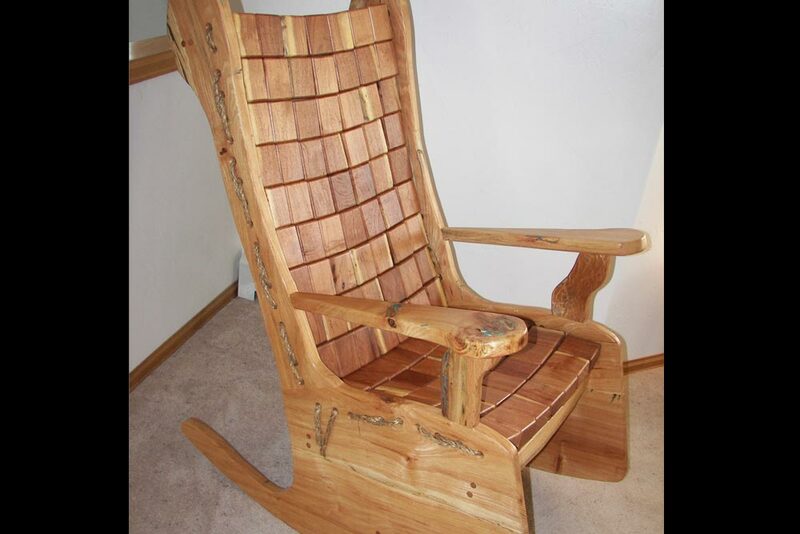 Our rockers consist of 98 wood blocks. 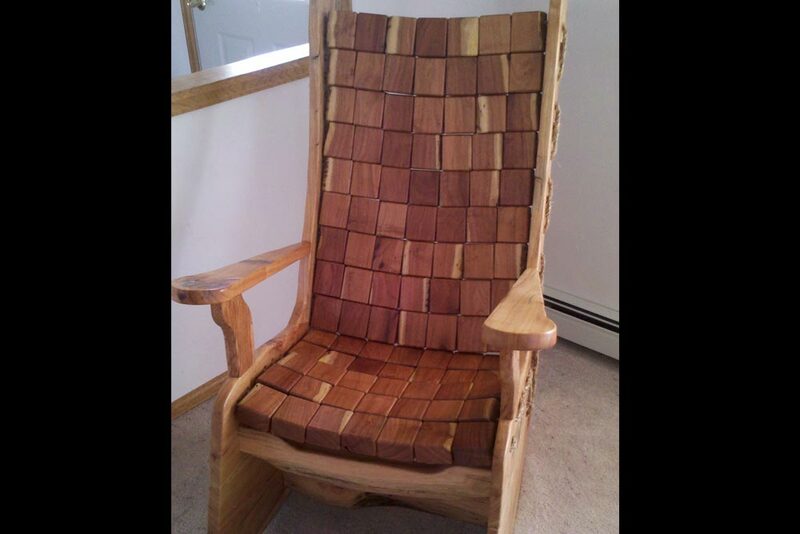 Each block is strung together with manila rope. 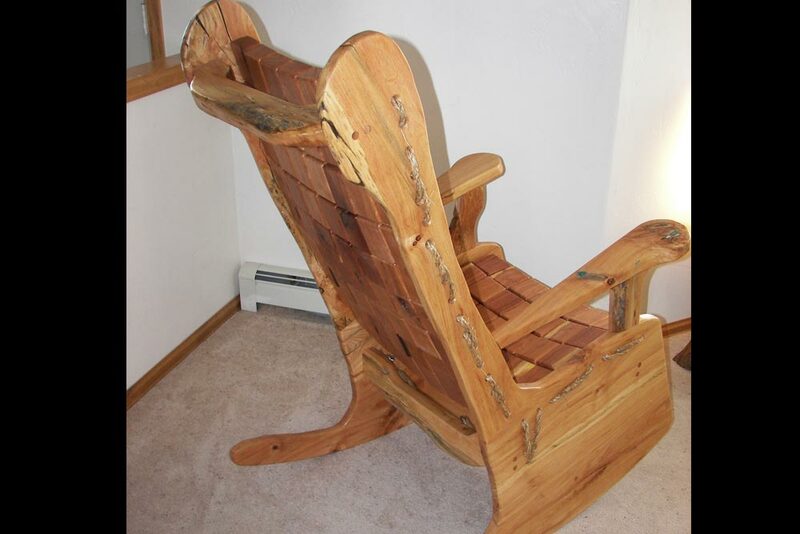 This style of rocker is a real pleasure to sit in. 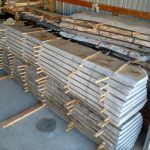 Free of any pressure points due to the independent movement of each block. 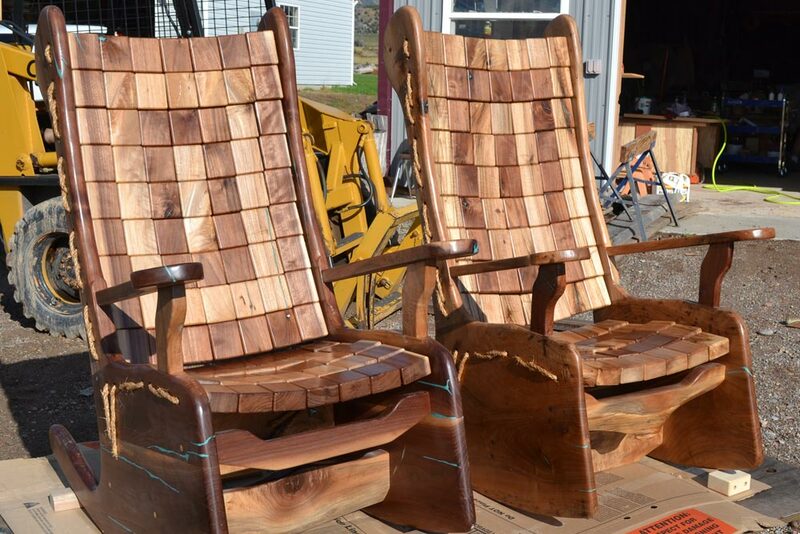 These rockers are sure to be the most comfortable chair you will own. 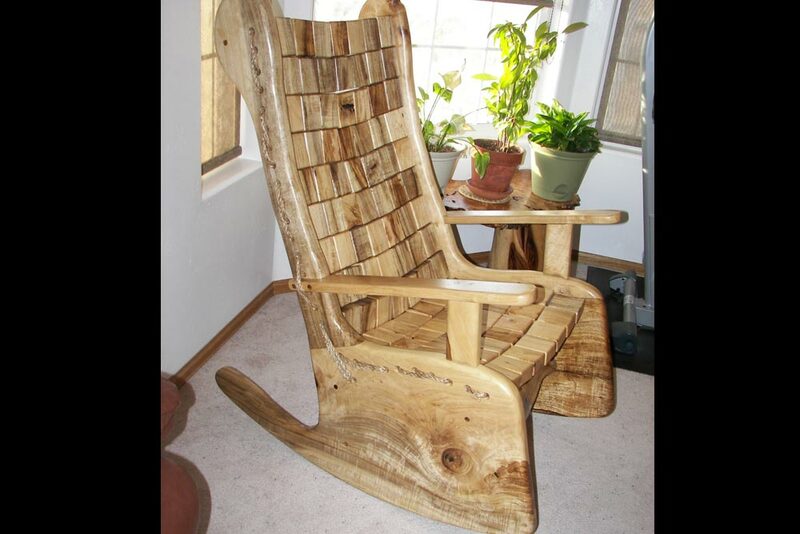 We prefer to use solid hardwoods for our furniture. 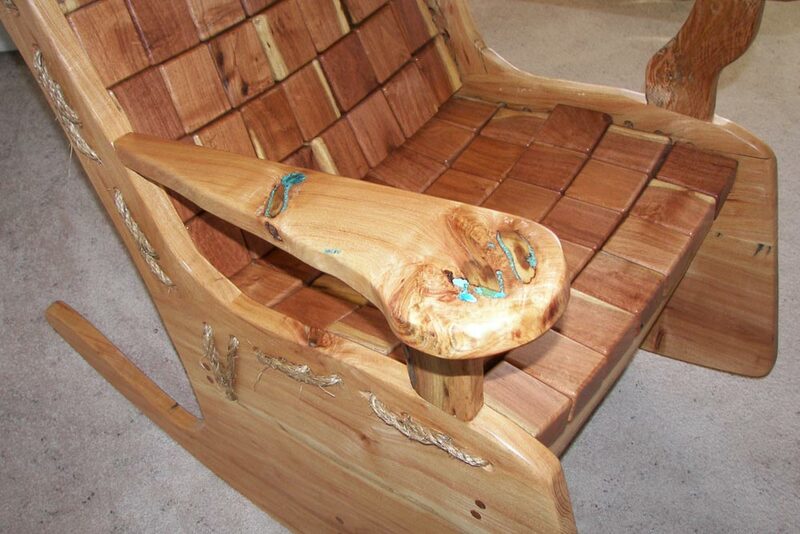 To name a few of the species we use often but not limited to. 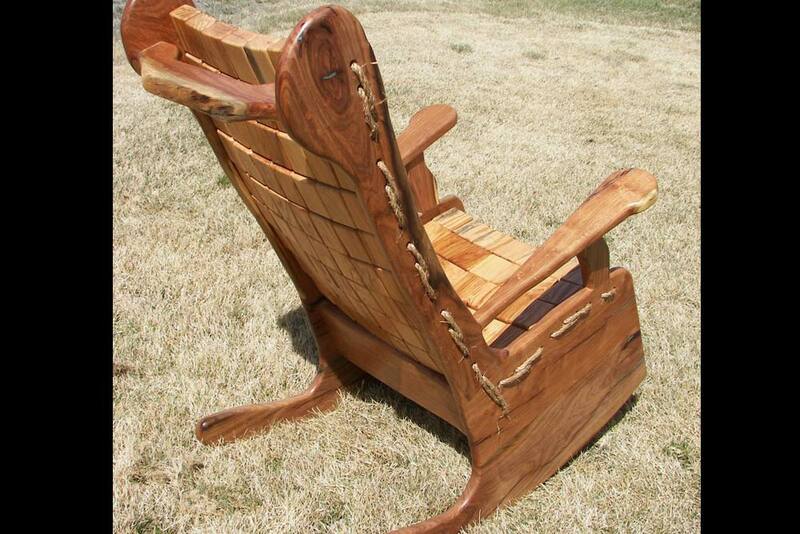 Maple, Oak, Cherry, Myrtle, Locust, Ash, Elm, in addition to the always popular Black Walnut.